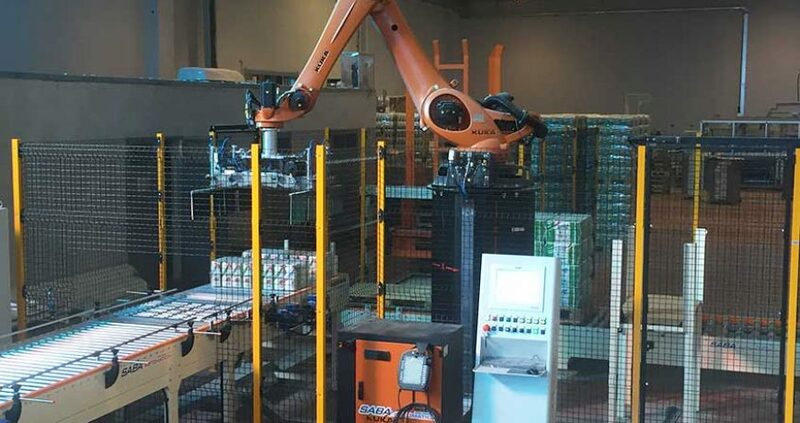 SABA AUTOMATION manufactures automatic palletizing systems of the Cartesian type or featuring anthropomorphic robots; these systems can handle a variety of products and, thanks to their versatility, can be used with the most cutting-edge packaging lines. 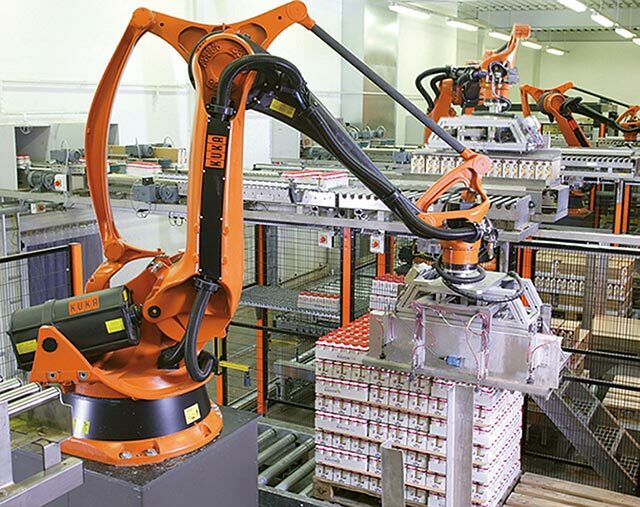 The systems manufactured by SABA AUTOMATION are developed to enable customers to handle new sizes on a completely autonomous basis and to take care of the safety of their operators thanks to SABA Automation software and the most modern hardware. 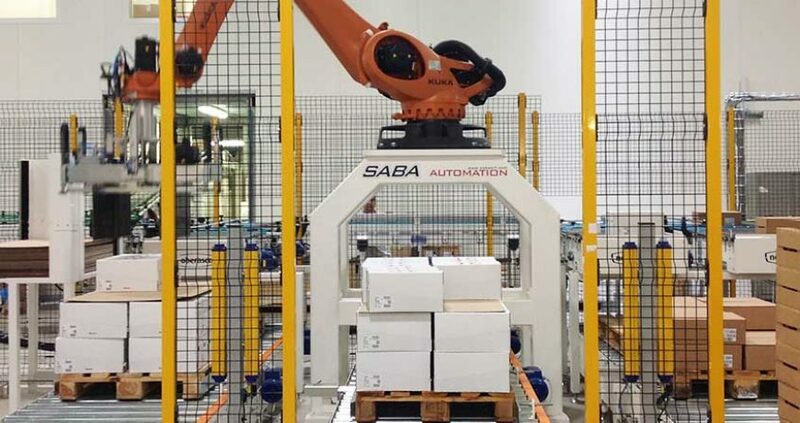 SABA Automation palletizers range from the most simple – for pallets placed on the floor – to the fully automatic systems that allow for non-stop cycles. The type of product, production speed, etc. 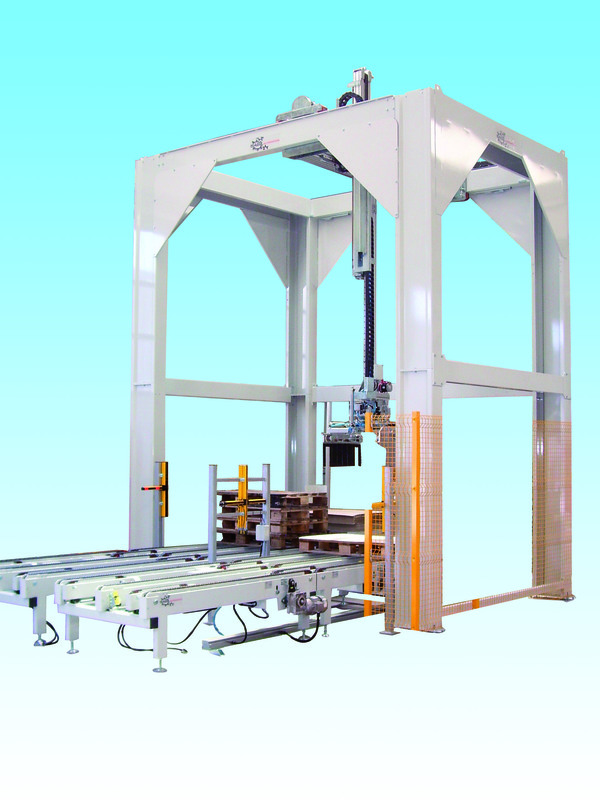 allow us to design the right palletizer for every customer. 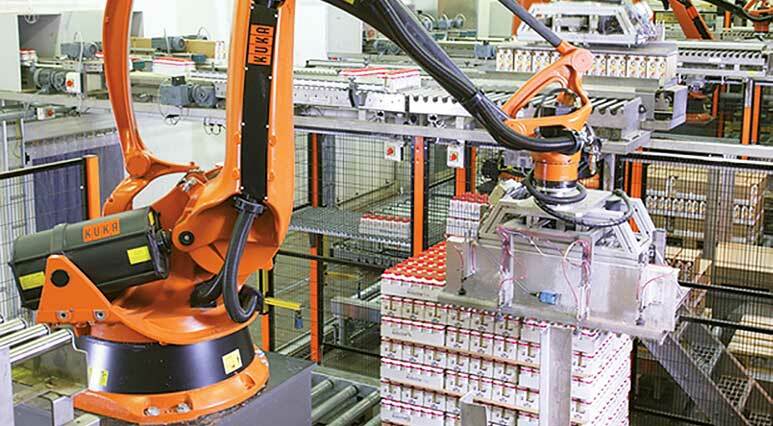 All systems can be completed with automatic wrapping machines, AGV, automatic labelling machines and so on. All units are controlled by a single SABA Automation control unit and software for management, control and operator-machine interface.